It got majorly good reviews from the film critics on its release, but those critically acclaimed reviews couldn’t help the film to register the best start. It failed to attract footfalls in large numbers. 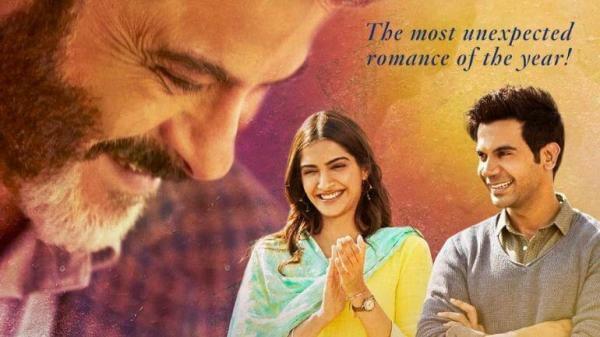 The film opened to just a collection of Rs 3 crore on Friday. Following it, the movie collected Rs 4.65 cr on Saturday and Rs 5.58 cr on Sunday. A little increase in occupancy was noted in some of the metro cities over the weekend, but overall it has got poor occupancy rate. Its fate will be defined by how it will perform in the first weekdays. On this past Friday, Ek Ladki Ko Dekha Toh Aisa Laga joined the already prevailing competition at the box office. It collected Rs 1.50 crores on Monday, making its 4 days total collection to Rs 15 crores. Films like Uri: The Surgical Strike, Thackeray, Simmba, and Manikarnika are already faring in India. Now, three films – Manikarnika, ELKDTAL, and Uri are getting most of the viewers’ attraction. Uri and Simmba have already been marked as blockbuster films. By the end of 4th weekend, Uri has collected Rs 189.76 crores. Shelly Chopra Dhar directorial also stars Juhi Chawla, Regina Cassandra, and Akshay Oberoi. It also marks the first project of Sonam and Anil Kapoor together. The film needs to keep up with the pace in order to survive in the box office race. As the movie is made on a controlled budget, so there is not much hurdle in the recovery of its investment. The film is faring the best in Delhi, Mumbai, and Bangalore. Delhi is much better than other two cities, though it’s also bad.